Trivandrum, 17 October 2011: The design submitted by NM Salim Associates, Kozhikode has been selected as the winner in the public opinion poll conducted by the Trivandrum City Corportation for the modernisation of Palayam Connemara Market. The winning design 'D' is based on the British colonial architecture which is the basis of many buildings at Trivandrum including VJT Hall, Museum, Fine Arts College, PMG Office etc The design features a shopping mall, business class hotel, hypermarket, a rehabilitation block for the fish, meat, vegetable and other shops in the existing market. 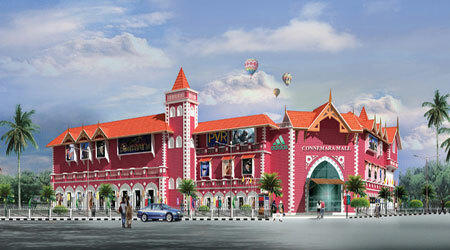 The Palayam market modernisation project is a joinet venture by INKEL and TRIDA. The four selected designs were put up at a pavilion specially built for the purpose in front of the market for seven days whwere public submitted their votes on their favourite designs.